As unlikely as it would have seemed even ten years ago, tourists are pouring into Waco, Tx, these days, due largely to the Fixer Upper phenomenon. As one drives by the convention center and the memorial to Vietnam veterans along the Brazos River and the historic suspension bridge, most visitors would not dream they are driving through a former red light district. In the late 1800s to the 1920s prostitution flourished in this area, known as Two Street or the Reservation, as the cotton and cattle trade converged in Waco. The city was a significant stop on the famous Chisholm Trail where the Old South and the Old West met. Depots sprang up along the Brazos River for both cotton merchants and cattle drives after the Civil War. Soon the small town of Waco became an epicenter for the two key Texas economies. of prostitution. The prostitutes simply flocked to where the money was, and the money was in Waco in those days. 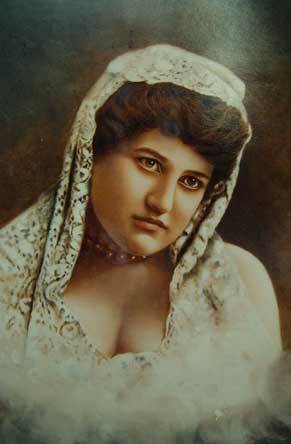 By the 1890s, Waco's red-light district housed more than 200 prostitutes and several brothels and madams, the most famous being Mollie Adams. 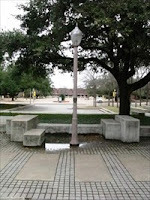 Although most Waco residents today are totally unaware of the reputation of the Two Street district and the name Mollie Adams, in the early 1900s Mollie was an infamous character in Waco. She was beautiful. She was a financial success. And she was a woman of many connections in Waco, although she was shunned by proper society. Because of these connections, it was rumored that the city officials overlooked many of her indiscretions and allowed her more liberties than were given to the other madams on the Reservation. addition, prostitutes had to pay a fee for brothel house licenses every three months. The women also had to undergo monthly medical examinations. 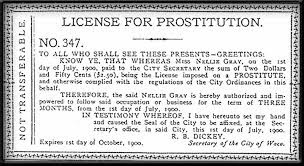 Similar regulations were enacted in other Texas cities, but for some reason Waco experienced the greatest longevity in both its official and unofficial policies toward prostitution, resulting in the fact that bawdy register still survives. Ms Adams' astute business skills can be traced in Waco's bawdy register. She first appeared in the mid-1880s as merely a prostitute, but then she acquired a brothel in 1891 consisting of three rooms. She slowly expanded to seven rooms, then she moved and was evidently financially successful enough to add indoor plumbing and electricity to her establishment. The house also had two parlors, a dance hall, a bar, several bedrooms and a bell system that could summon a particular woman for a certain customer with discretion. Interestingly, the architect for Ms Adams' brothel was also the architect for First Baptist Church Waco. I found lots more interesting facts about the oldest profession in our fair city ... far too many to include in this blog. But every time I go to that part of Waco, I think about the women who walked those streets in the early days of Waco's history. I wonder if anyone reached out to them to rescue them from this life style of devastation. A multi-published fiction author, Golden Keyes Parsons and her husband, Blaine, live in Waco, TX. Her series, Darkness to Light, (Thomas Nelson) chronicled the journey of her ancestors in 17th century France and was a finalist for ACFW’s Debut Author of the Year in 2008. Her fourth novel, His Steadfast Love, a Civil War novel, was a National Readers Choice finalist. Parsons has also written a biblical fiction series entitled Hidden Faces, Portraits of Nameless Women in the Gospels (WhiteFire Publishing). You can contact her at www.goldenkeyesparsons.com. Interesting post. I love reading about Waco's early history. I know about the "shady" area from researching Waco. It reminds me of Miss Laura's, a fancy bawdy house in Ft. Smith. Miss Laura had her own coins created so that her gals didn't have access to actual money until they traded in the coins. The men had to buy the coins from Miss Laura and then pay the ladies with them. Rather clever. I hope the Texas Ranger Museum gets more traffic with so many people coming to town these days. It's a fascinating place to visit. Fascinating, Golden. I'd heard about the history of the area when I was a student, but never thought much about it or knew any particulars. Waco is really an interesting place and has a lot more history than most people would think. That is so true, Martha. The more I delve into Waco's past, the most gems I uncover. It's a town with a rich heritage.